The Vedās are eternal (Nitya), without beginning (Anadi) and not ascribable to human authorship (Apurusheya). The Vedās were revealed to the Rishis during 'samadhi' (transcendent state). 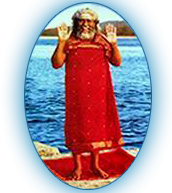 By chanting the Vedic Mantras, the Rishis experienced a communion with God. They passed on their knowledge of Vedās to their disciples by word of mouth and the tradition has continued till now. The chanting of Vedās and conduct of Vedic rituals generates divine power and waves that are beneficial to all living and non-living beings and nature at large. 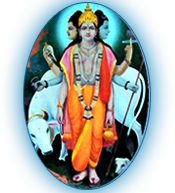 Shree Datta Devasthan Trust runs Vedant Vidyapeetham. The Vidyapeetham operates on the same principles as the ancient 'Gurukul' system where young students from all over the country come and live for 12 to 14 years and gain Vedic education, Yajna rituals and imbibe Shastra. The Vidyapeetham provides facilities to learn Vedās from eminent Vedic scholars. It has a large library and Vedic research facility. Besides the Vedic scholars teaching in the institute other eminent Vedic scholars from all over the country are invited to provide discourse and exchange ideas with students and teachers. This has help built a network of Vedic scholars in the country. Currently, the Vidyapeetham has the capacity to accommodate around 100 students. The Vedās were arranged in 4 parts - 'Rig-Veda', 'Yajur-Veda', ' Sama-Veda' and 'Atharva-Veda'. They were further classified into around 1100 'Shakhas' (branches). Out of these, only handfuls are in existence today. In the olden days, the kings used to support the Vedic scholars and encourage them to study. Today it is the collective responsibility of the populace to prevent the Vedic studies from extinction. This is the main objective of the Trust. The effects of the Vedic Mantras depend on correct pronunciation with proper intonations. Therefore, they have to be learnt by word of mouth from proficient teachers through the 'Gurukul' system of education.